Three universities are supporting The Sixth Form College, Solihull Open Day on Saturday 8 October, to give prospective students advice on what courses take with careers and university courses in mind. Representatives from the University of Birmingham, the University of Leicester and the University of Warwick will be at the Widney Manor Road campus on Saturday. The College will be open from 9.30am – 3.30pm on 10 October, with a last entry time of 2.30pm. “We are grateful to Birmingham, Leicester and Warwick for supporting the College this weekend. We are delighted to have excellent relationships with all three universities. They work with us on projects we run, including specialist academies that we have set up to support students with particular career ambitions and we get a significant number of our students going to these three universities. All curriculum areas will be staffed at Open Day, enabling visitors to meet teachers and students on all our courses. Specialist staff in Careers, Additional Learning Support and Academic Coaching will also be available to tell students and parents about the support offered to students during their time at College. The College will also be showcasing its impressive range of specialist enrichments. As well as Birmingham, Leicester and Warwick’s links with our curriculum areas, the College offers a number of other specialist academies run to support students with particular career ambitions. These academies include a Pre-Medical School, Engineering Academy, Shakespeare Academy, Psychology Research School, Teaching Academy and many more. 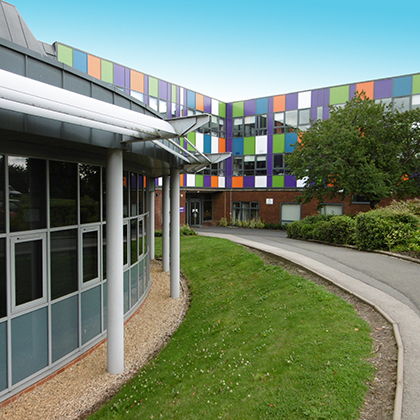 These are unique to The Sixth Form College, Solihull. Many of these academies run in association with High Education partners, such as the University of Nottingham supporting the College’s Chemistry Project and Aston University supporting our Business and Law Academies. Pre-registration for Open Day will remain open until 4.00pm on Friday 7 October.